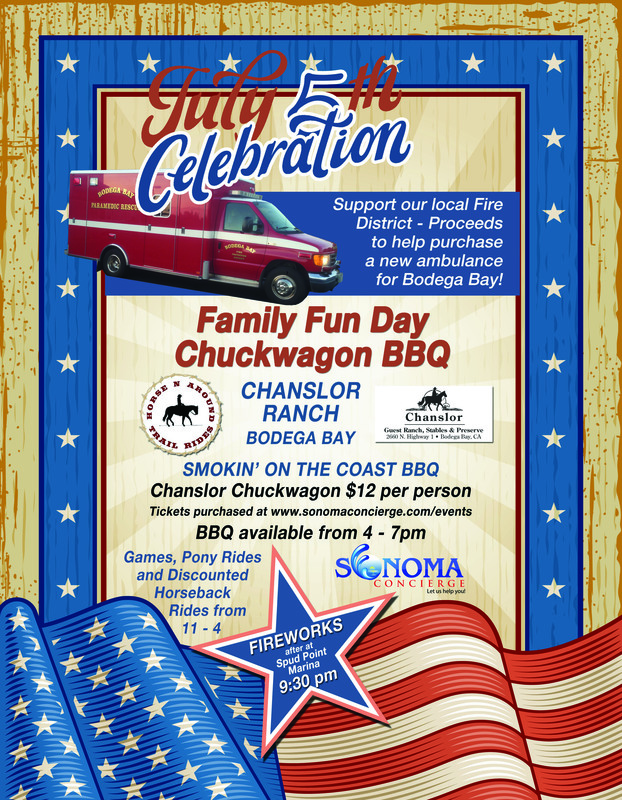 Join us for a Fundraiser at Chanslor Ranch to raise funds for a new ambulance. Delicious BBQ by Sonoma Concierge, discounted horseback rides, pony rides, children’s games. Bodega Bay Fire needs a new ambulance. The County has provided half the funds! We need to raise another $90,000. Come and have fun, donate some $ and dine on Sonoma Concierge’s delicious BBQ. For more information call 7078 775 0282 for more details.